The most effective way to get relevant traffic to your product or service. 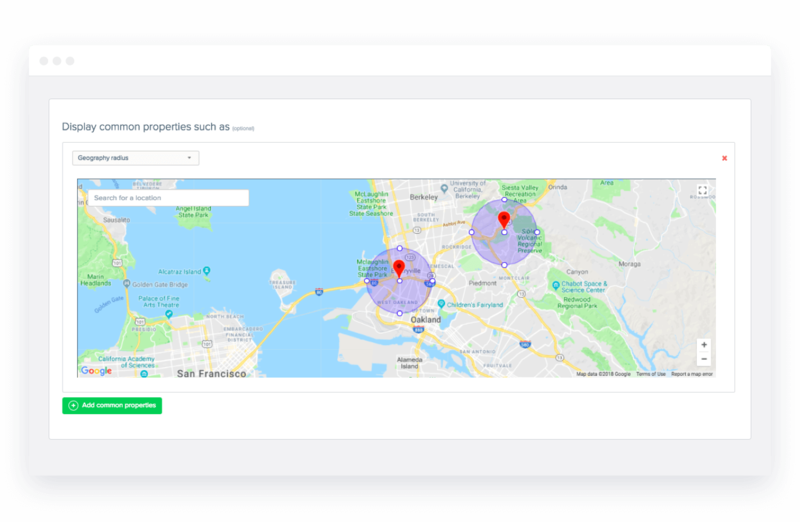 Identify your most valuable customers with CleverTap’s geo-radius targeting, which allows you to identify and interact with customers based on their exact last-known location. Entice customers with a location-based offer or notify them of an event they can unlock in their vicinity. Simply drop a pin or type an address and we send out the notification to every customer who was last seen in that area. You pick the radius and we take care of the rest! Drive location-aware messaging across multiple locations so you can maximize the effect of your engagement. For instance, you want to target customers at multiple store locations in New York City on Valentine’s Day. You can select your store locations by dropping pins and target all customers in these regions. 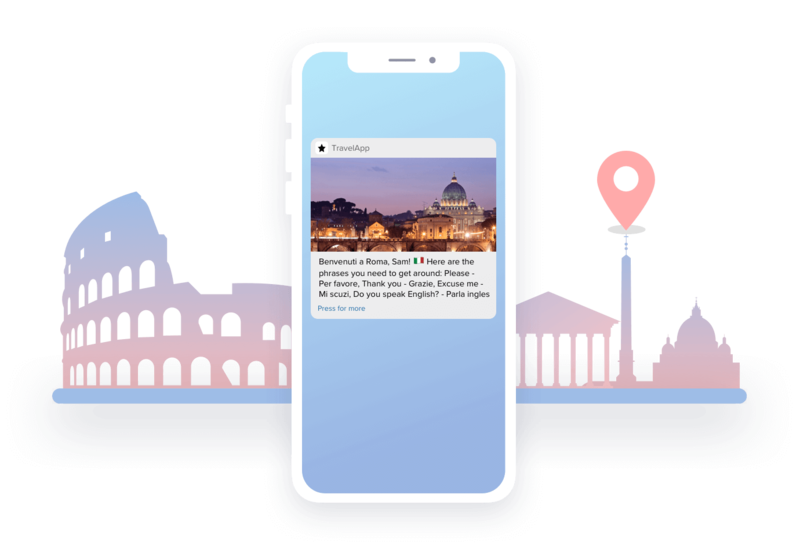 CleverTap integrates with Foursquare, Bluedot Innovation, Plot Projects, and several other location services to help you reach customers and amplify your reach. 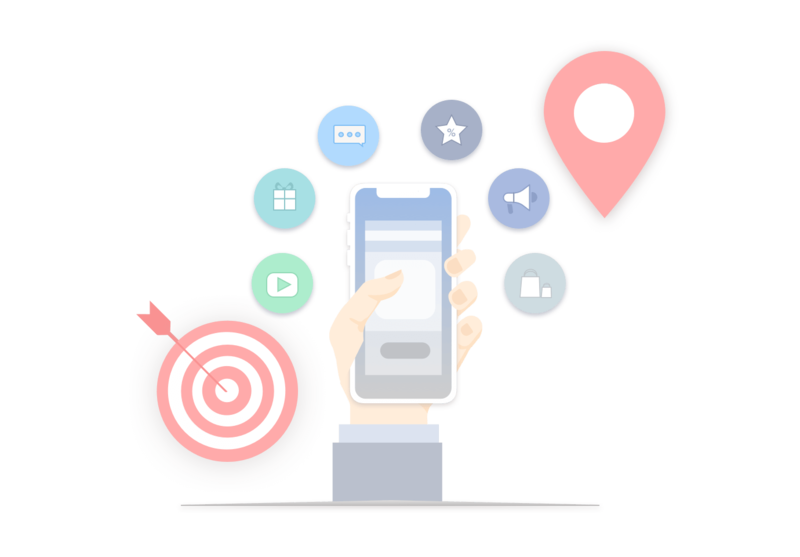 Integration with CleverTap can further enhance your attribution data so you can optimize your campaigns and realize ROI using real-time, location-based data.